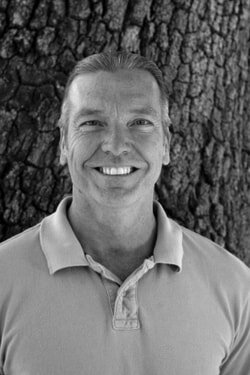 Jay Anderson is teaching all levels of AQ Video Arts and brings a wealth of teaching and video experience to the position. He began his education in video/film right after high school at SRJC with the one and only Jim Helmer, our just-retired AQ Video teacher! He then continued his education at San Francisco State University in Film-making and upon graduation, pursued a career in video production working at length for Sonoma Video Productions, one of the earliest premiere video production companies in the area. Anderson later taught at the elementary and middle school levels in Forestville schools, introducing several popular courses, including “Maker”, Alternative Physical Education and Video Production, as well as teaching Social Studies. Anderson is an avid surfer and his wife, Wendy Anderson, is also involved in the Arts, teaching Visual Art at Slater Middle School. Mr. Anderson is thrilled to be teaching at ArtQuest and his energetic approach to learning, his warmth and community orientation seem a perfect fit for AQ Video Arts! Jereme holds a MFA in Acting and works professionally as an actor, director and teacher. For eight years he served as Director of Theatre Arts of an award-winning training program at one of the top ten private high schools in Connecticut. Jereme's own acting training was accomplished at schools such as the Sorbonne in Paris, The Moscow Art Theatre at Harvard, and the University of Connecticut. He has acted in many theaters on the east and west coasts as a member of Actors' Equity Association. In addition to acting and directing, he has served as fight choreographer for several productions, holds a black belt in Aikido, and is a practitioner of physical theater and the Suzuki Method of actor training. Mrs. Kira Bombace was a student at Santa Rosa High School when the ArtQuest program began! Inspired by her high school choral experience with long-time SRHS director Dan Earl, she continued her musical pursuits at Santa Rosa Junior College with Dr. Curtis Sprenger, and then at Northern Arizona University in Flagstaff, AZ, where she majored in Choral Music Education under the direction of Drs. Edith A. Copley and Alan J. Rieck. She began her teaching career here in Santa Rosa, at Rincon Valley Middle School, where she taught 7th-8th grade performing arts classes for one year with Jennifer Brown, another Santa Rosa High alumnus! Before taking the reins of the Choral Program at SRHS, she taught choir, band and guitar at Rancho Cotate High School in Rohnert Park. Mrs. Bombace currently directs four outstanding SRHS choral ensembles: ACappella, Las Choralistas, Concert Choir, and Chamber Singers. Over the past 30 or so years, these choirs have received many awards from the Western Division of the American Choral Directors’ Association (ACDA) and the California Music Educators’ Association (CMEA). The Concert Choir has also performed multiple times locally with the Santa Rosa Symphony, and last year toured to Mexico City, Taxco… and Disneyland (yes, in the same week!). Danielle Cain has been a working theatre artist in the North Bay for over 20 years. She is on the theatre faculties at Sonoma State University and Napa Valley College, and works as a voice, text and dialect coach. She's coached for productions at SSU, Shakespeare Napa Valley, Sebastopol Shakespeare Festival, NVC, Actors Theatre and 6th Street Playhouse. 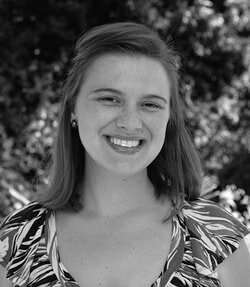 Danielle has done private speech, text analysis and audition coaching since graduating from college, and was an Associate Artistic Director at Actors Theatre and Managing/Casting Director at 6th Street Playhouse. As an actor, favorite shows include Angels in America, Arcadia, Cat on a Hot Tin Roof, Skylight, The Real Thing, Enchanted April, Boston Marriage, Much Ado About Nothing, Taming of the Shrew, The Tempest and most recently Top Girls at Shotgun Players. She trained at the British American Drama Academy, American Conservatory Theatre and received her BFA in acting from the University of North Carolina School of the Arts. Danielle recently led a Shakespeare in London tour for SSU theatre students. Brooke graduated from Sonoma State University, she did her student teaching right here at Santa Rosa High School/ArtQuest! Her early emphasis was Photography, she is one of our Visual Fine Arts Teachers. She was hired the following year, in her current position 13 years ago! Brooke lives in the Calistoga area, and is helping raise her twin nieces, while residing with her sister. The household stays active with two cats, two rabbits, two chickens, two dogs! We are so happy to have Brooke as part of our AQ staff! Hollis Fennen has been teaching English Language Arts for nine years. She teaches sophomore ArtQuest and Honors English. For the past three years, she and fellow English instructor Darlene Pullen have edited the ArtQuest Anthology, a published collection of student artwork and poetry, and coordinated the ArtQuest Poetry Slam. She graduated with Honors from Pacific Union College and received her teaching credential from Sonoma State University. In addition to teaching, Hollis is a professional harpist and enjoys playing for events in the North Bay. She lives with her husband and two sons in the Napa Valley. Janet comes to us from England, the U.K. She graduated from Manchester University with an emphasis in History of Art and Ceramics. She lived in Hong Kong while working in Management of an Art Gallery, also managing Front of House Theater. Janet moved to America in the 1990's, working for the British Gov't. while here in the States. She recently became credentialed as a Visual Fine Arts Teacher. Their two daughters are alumnus of ArtQuest! We feel honored to have Janet share her background, and vast knowledge of the arts as a teacher here at ArtQuest! Degrees: Sonoma State University—BA in Studio Art with a Minor in Art History, Single Subject Teaching Credential in Visual Arts. Supplementary Credentials: Dance and Literature, Administrative Credential. Studied Journalism and Creative Writing at Michigan State University and Humanities at University of London, England with graduate work at UC Berkeley and UC Santa Cruz. She was the Founder of the Calistoga Elementary School Art Docent Program, the Adult and Children’s Art Educator for the City of Calistoga, Art Consultant for St. Helena Montessori Elementary School, and Co-Implementor of the California Arts Council’s Local Arts Education Partnership Grant and the California Department of Education’s Arts Work Assistance and Expansion Grants for the Santa Rosa City Schools District for four years. As William Morehouse's student, Jan worked on Christo's, California projects: Running Fence (1976) and The Umbrellas (1991). As an artist, designer, educator, businesswoman, she designed and implemented residential and commercial architectural renovations, including Brannan Cottage Inn, for which she and her husband won the Napa Landmarks Association‘s Award for Historic Preservation in Napa County. Her memberships include: Board of Directors for the Cultural Arts Council of Sonoma County, Founding Member and Co-Chair of the Sonoma County Arts/Education Alliance, Board of Directors for Friends of ArtQuest, California Art Education Association, National Art Education Association. Her awards include: Circle of Excellence Award—Sonoma State University, Educational Excellence Award—California League of High Schools, Exemplary Excellence in Education Award—Santa Rosa Chamber of Commerce, Teacher of the Month Award—Santa Rosa City Schools, Arts in Education Award for participation in the Child of Our Time—Cultural Arts Council of -Sonoma County, Golden C Award—Calistoga High School, Lottery Funds at Work Award for the ArtQuest Program—The California Lottery, California Assembly Resolution from Assembly Member Patricia Wiggins in recognition of the ArtQuest Program and Santa Rosa High School, back in 1999 “Jack London Award” for ArtQuest Program—School of Education, Sonoma State University. Mark Wardlaw has performed as a clarinetist in the Santa Rosa Symphony since 1984. He also is active as a chamber musician, jazz saxophonist, and flutist and has taught at Sonoma State University and Santa Rosa Junior College. His education includes a Master of Music Degree in clarinet performance and literature from the University of Washington in Seattle and private clarinet study with clarinetist David Glazer in New York City. He has performed with musicians and entertainers such as Yo-Yo Ma, Emanuel Ax, Andre Watts, Jeffrey Kahane, The Turtle Island String Quartet, Fred Hersch, Judy Collins, David Benoit, the rock group Yes, Mel Torme, Steve Allen, Joan Rivers, Olivia Newton John, Frankie Avalon, Fabian and Lou Christie. He is the Director of Instrumental Music in the ArtQuest Program at Santa Rosa High School where his award-winning ensembles have received great acclaim in performances throughout the U.S. and British Columbia. His long tenure at SRHS has enabled him to postpone getting a real job. Nzinga Woods is a dancer, teacher, choreographer, performer, and explorer of movement and embodied knowledge. Nzinga's dance and performance training includes: Jazz, Modern, Dunham, Afro-Cuban, Hip Hop, and Afro-Haitian dance, as well as multimedia, theatre and somatic techniques. A native of Sacramento, she has danced with and choreographed for many dance companies and organizations in Northern California. She has traveled around the world from the Caribbean, Europe and Asia dancing and also working with school aged youth. Nzinga received her BA at CSU Sacramento, and completed her MFA in Performance and Choreography at Mills College. She has performed in the works of Ronald K Brown, Sonya Delwaide, Jawole Willa Jo Zollar, Nicholas Leichter, Brenda Way, Jacinta Vlach, Yvonne Rainer, Linda Goodrich, Marc Bamuthi Joseph, Halifu Osumare and Keith Washington. In addition to performance and choreography, Nzinga is also passionate about youth empowerment through the arts and also received her MA in Educational Leadership and her Administrative Credential. Nzinga remains an active arts educator in her community.